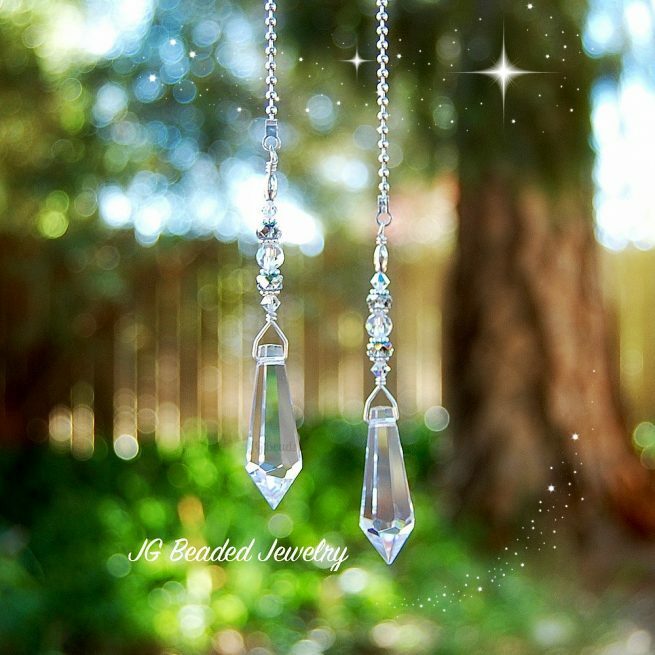 This teardrop prism light pull or ceiling fan pull crystal decoration is designed to easily attach to an existing pull chain. The prism crystal decoration is uniquely designed with care and attention to detail. 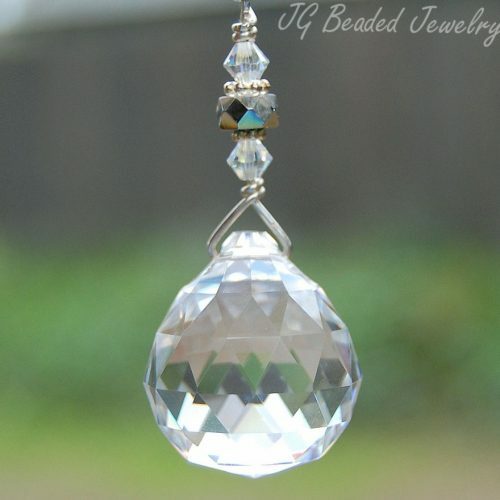 This pointed teardrop prism measures 1.5″ and is wire wrapped by hand for strength with iridescent Swarovski crystals, faceted clear and vitrail/clear glass beads, along with fancy silver metal beads to accent the ornament. 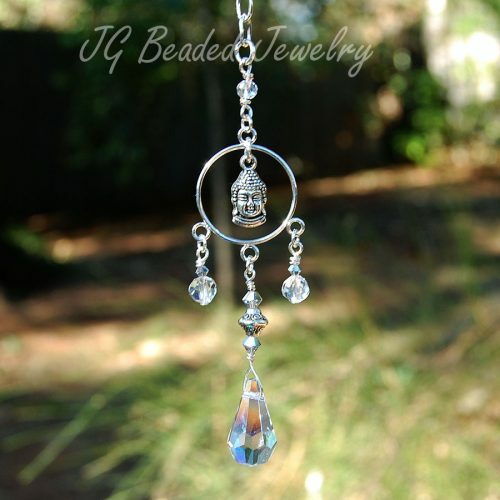 ♥ The listing is for one crystal pull decoration which comes on a 6″ silver ball chain with a connector for simple attachment to the chain on your fixture. If you would like a set of the pulls and prefer them to slightly vary in length, please send a message with your request (response time is generally fast). 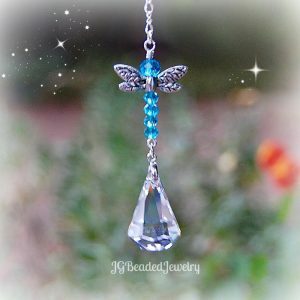 ♥ If you would like more than the quantity available or would like alternate colored Swarovski crystals, please send me a message with your request! 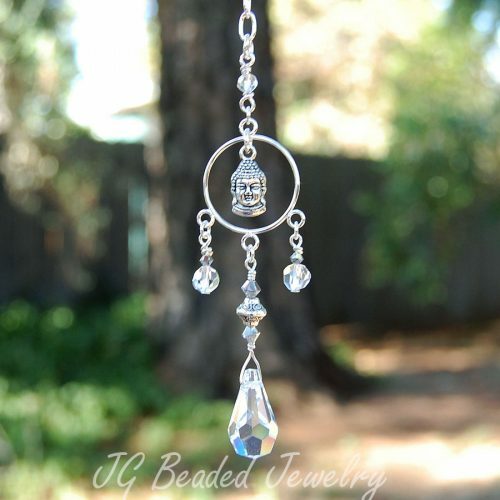 Find more Light/Fan Pulls, Rearview Mirror Decorations and Crystal Suncatchers!